Produced at the oldest distillery on the island, Penny Blue is named after one of the world’s rarest stamps. Scroll down to discover more of our heritage. Our Rum Makers combine their expertise to select rums at their peak of perfection. Their knowledge is essential to harness the potential of every cask. Jean-Francois Koenig joined Medine in 1999, and oversees the distillation and wood management at the Medine Distillery in Mauritius. The tropical climate increases the speed of maturation, so each cask needs to be managed carefully to ensure the marriage between wood and spirit. Working on a Single Estate distillery, we have control over every process, from selecting the sugar canes, distillation, ageing and blending, which allows us to showcase our rum at its very best. Doug McIvor is Spirits Reserve Manager for Berry Bros & Rudd, Britain’s oldest wine and spirit merchant. His philosophy is simple. Is it good to drink? His approval will be given to a spirit which shows the right combination of balance, complexity, maturity and texture to be deemed ready for bottling. From his London office, he works with samples to blend and assess the Medine reserves, searching for the distinct character of Penny Blue rums. Meticulously selecting the casks for maturation ensures each Penny Blue rum retains a distinct Single Estate character. The key is to express the rich, smooth and fruity complexity that makes this Single Estate rum a real expression of intriguing complexity. 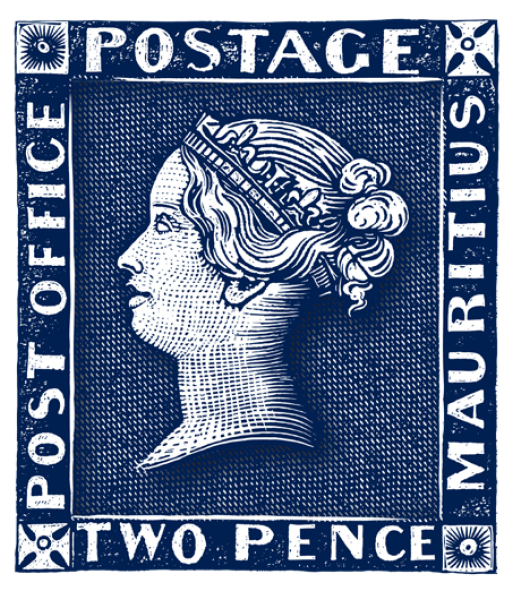 The name Penny Blue is derived from a Mauritian legend, the Penny Blue stamp. Created as part of the inaugural postal service, in 1847, under the watchful eye of the Governor of Mauritius, the stamp was to be used for invitations to a fancy dress ball held by the Governor’s wife. The engraver rushed to the Post Office to talk with the Postmaster. On arriving, he read the sign ‘Post Office’ and took it to be the correct inscription for the postal stamps. It was only after printing that the engraver’s mistake was discovered. The inscription should have read ‘Post Paid’ as with UK stamps. With only 500 produced, its rarity has made it one of the most expensive stamps in the world. Each Penny Blue stamp was hand printed, giving them a unique fingerprint, which is mirrored in our Single Estate’s influence on our rum. Mauritius was made first, and then heaven, and that heaven was copied after Mauritius” goes Mark Twain’s iconic quote. 1000 miles off the coast of Madagascar lies Mauritius, the tropical paradise in the Indian Ocean which has a history dating back to the late 17th century.